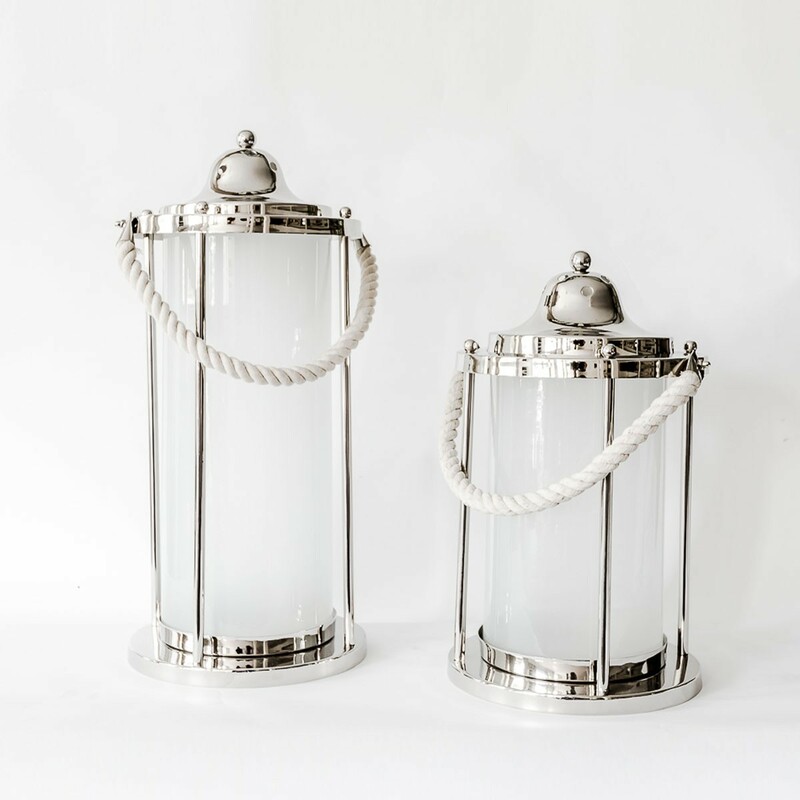 •A new addition to our collection, this aluminium and glass rope lantern is a stylish and unusual feature accessory. 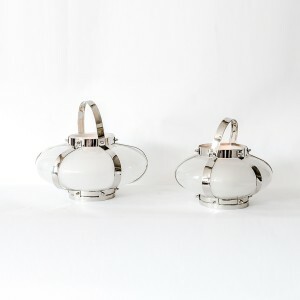 •Standing 28 cm tall and with a circumference of 50 cm, it features polished aluminium on base and top with milky-white glass and brushed aluminium rope handle. 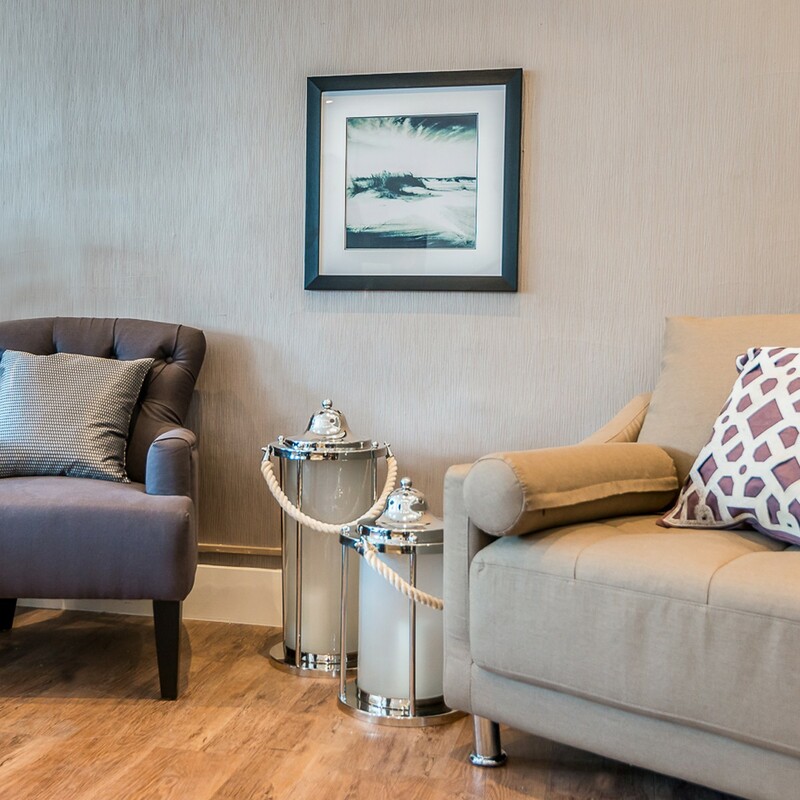 •A wonderful statement piece chosen by our design team, this lamp can be paired with one the same size. 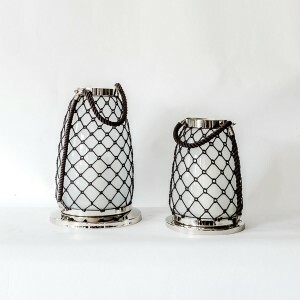 Or group it with the smaller rope lanterns in our home accessories collection. 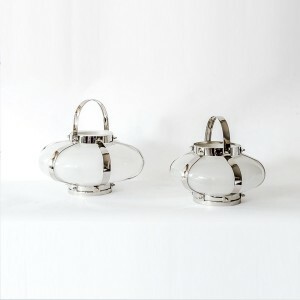 •Retail Furnishing handpicked this design for its cool modern update of nautical style. 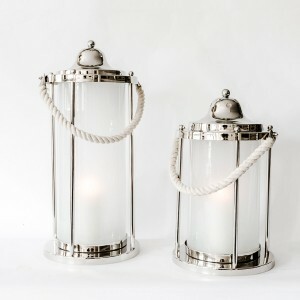 •Decorative and practical, this lantern can comfortably take a large pillar candle and looks superb in a hall or living room. •Robust and portable, it’s easy to carry with you onto the deck or down the garden. •The combination of polished and brushed aluminium works with both modern and traditional home décor. Candle Holder Warning: The candle holder/lid can get hot very quickly. Please use a cloth to remove the lid. Please let the handle holder cool before touching it. When in use please keep the candle holder away from the reach of children and pets.